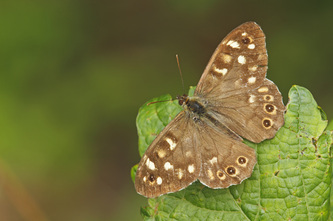 The ground colour of the uppersides is dark brown with a pattern of cream blotches. 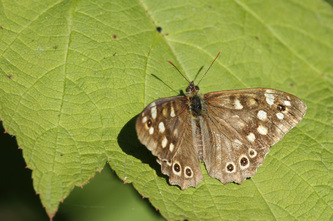 The blotches vary in size and are often partly obliterated by dark scales. 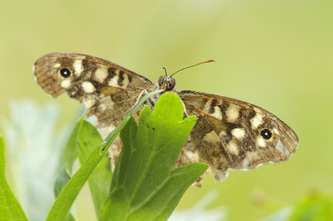 The forewing has a single apical eye-spot and the hindwing has an arc of three or four more obvious eye-spots ringed with cream. 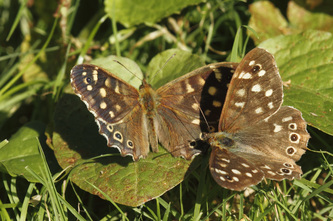 Flight from April to October in two or three breoods. 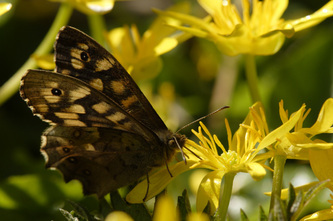 The larval foodplants are a wide range of grasses. 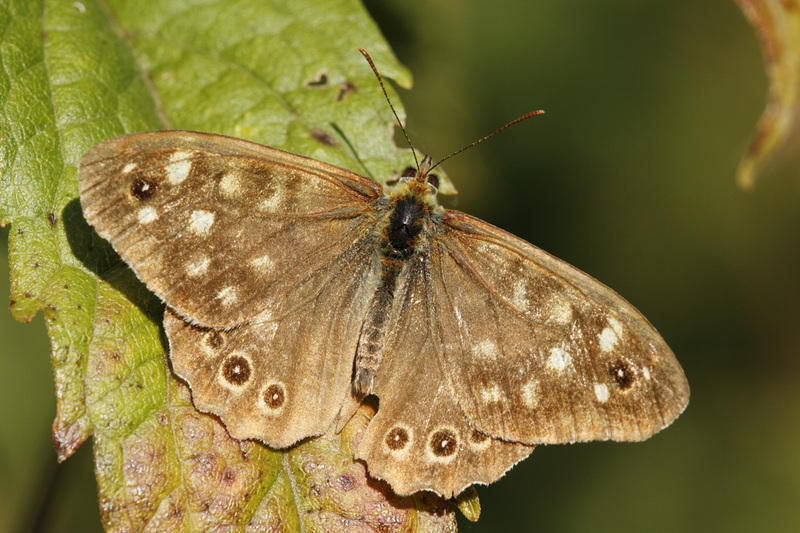 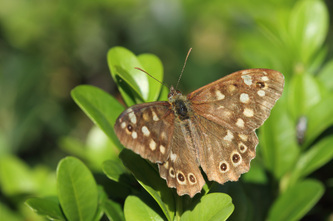 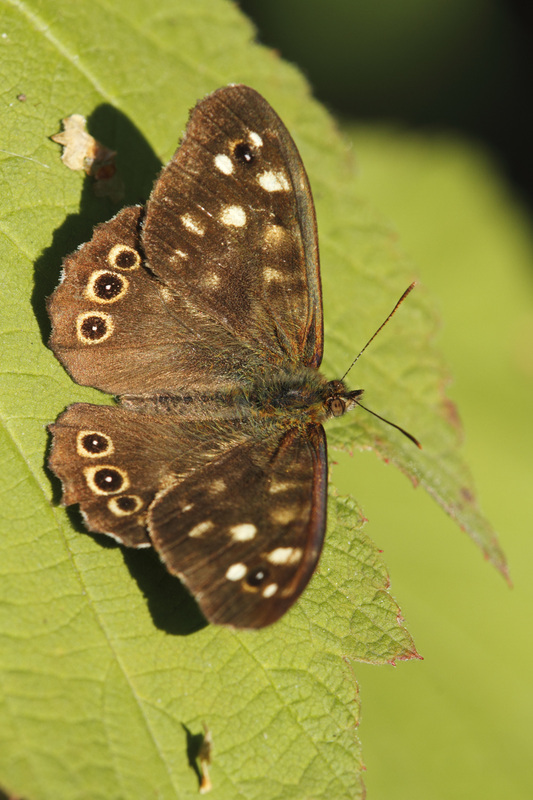 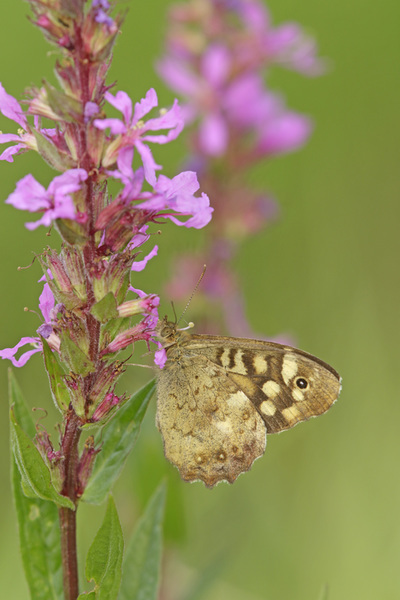 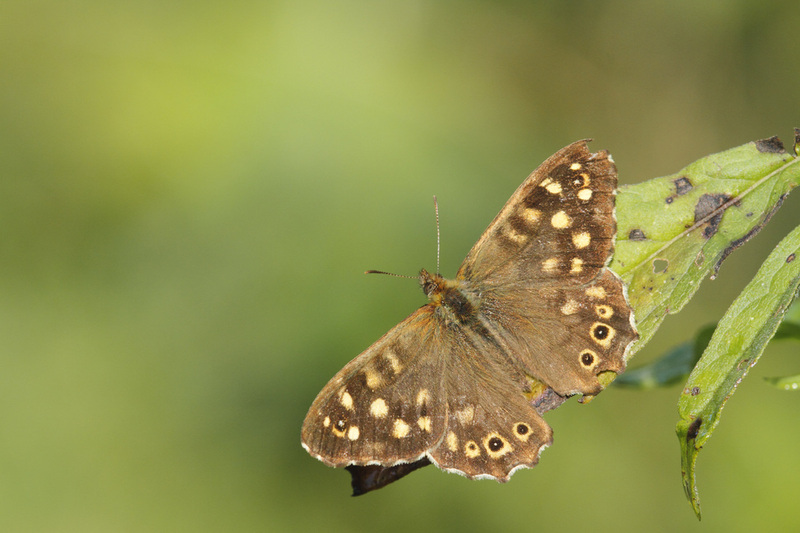 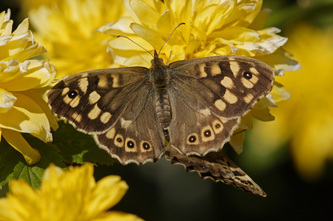 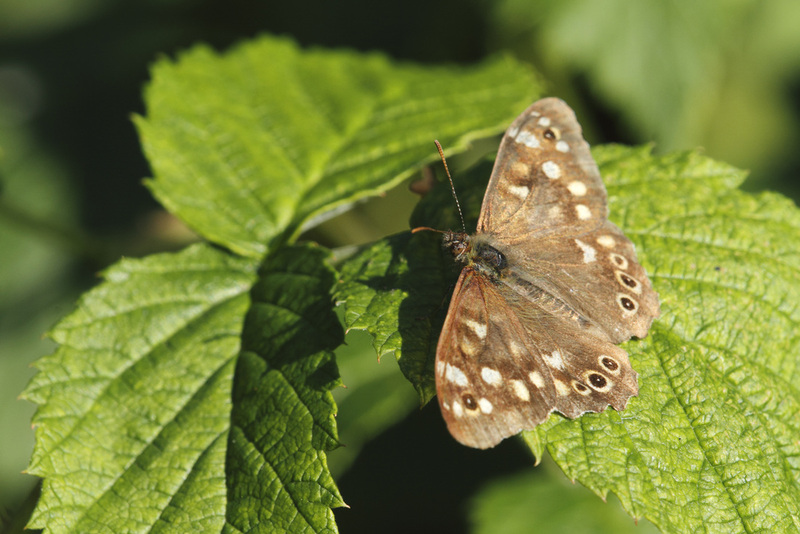 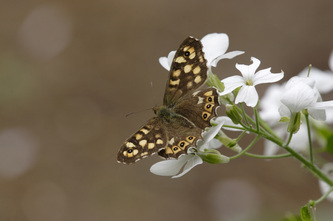 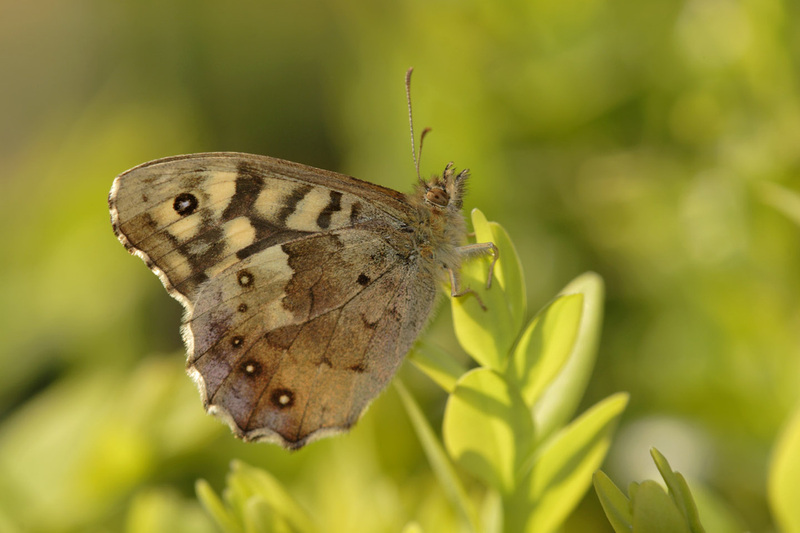 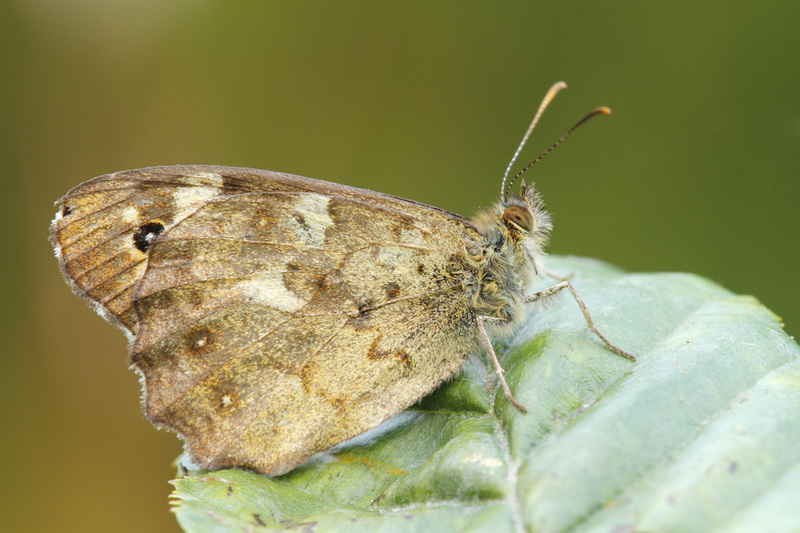 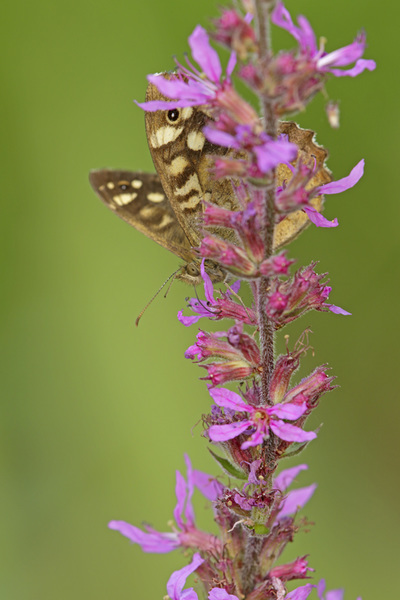 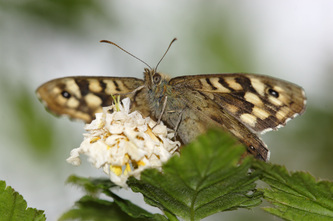 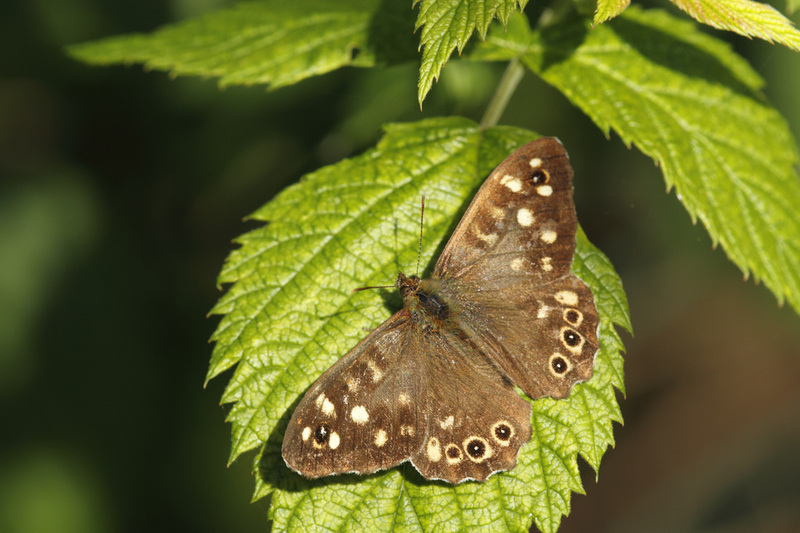 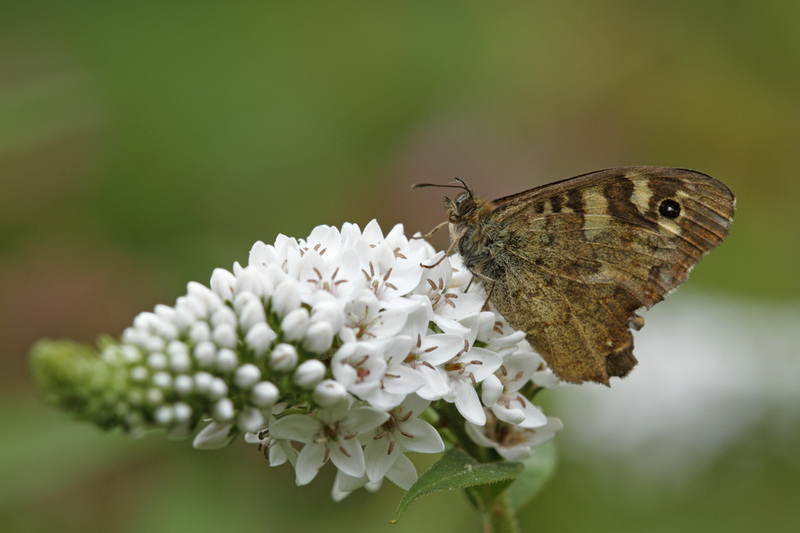 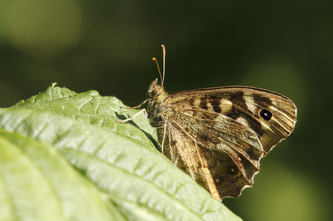 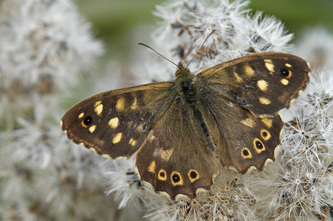 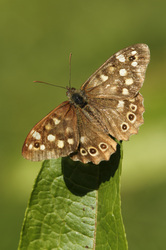 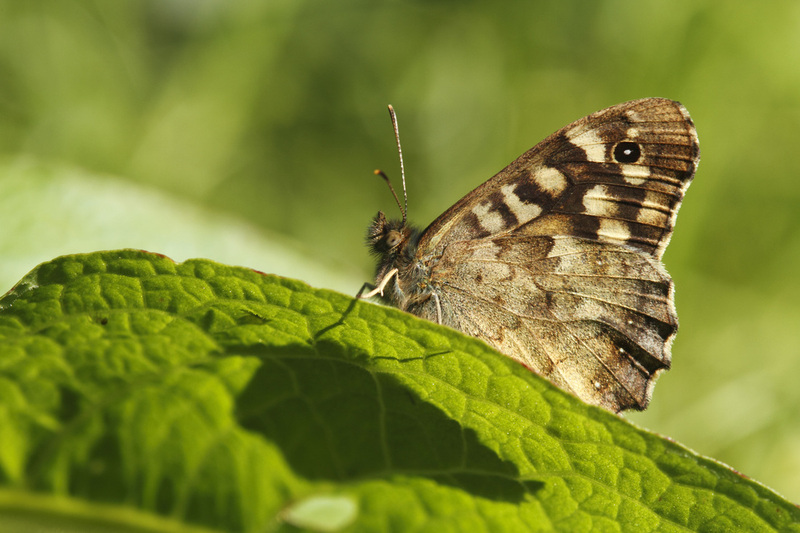 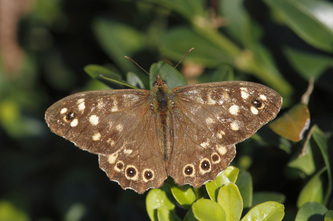 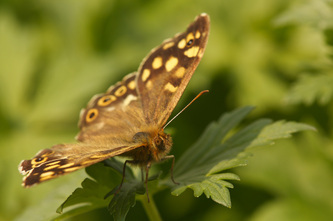 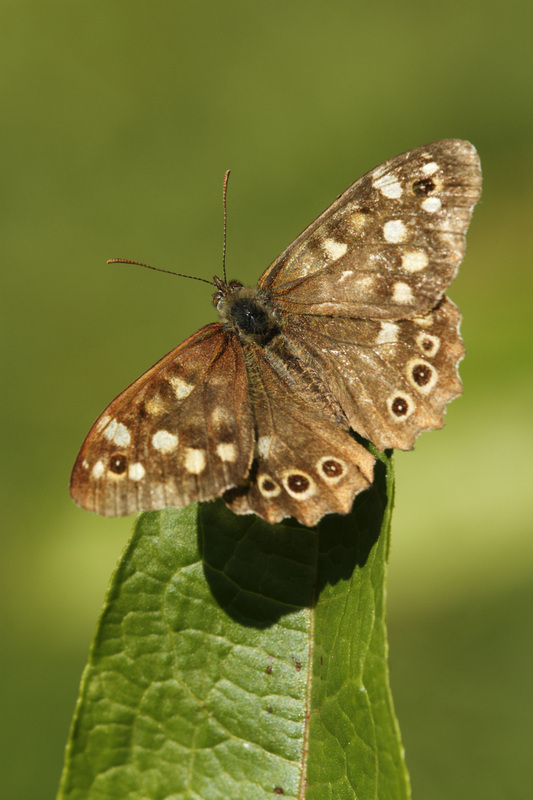 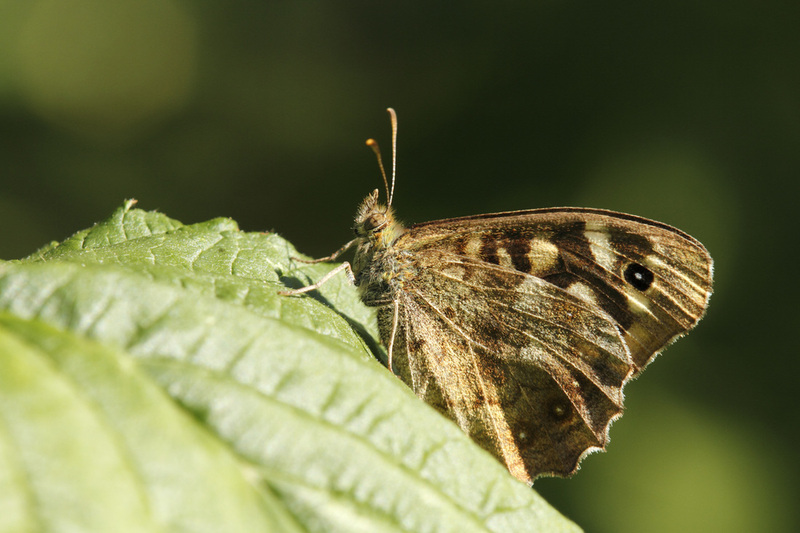 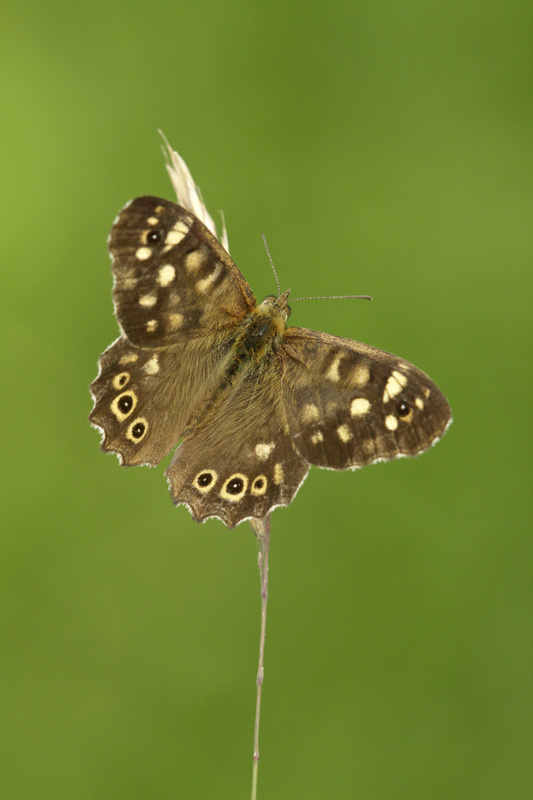 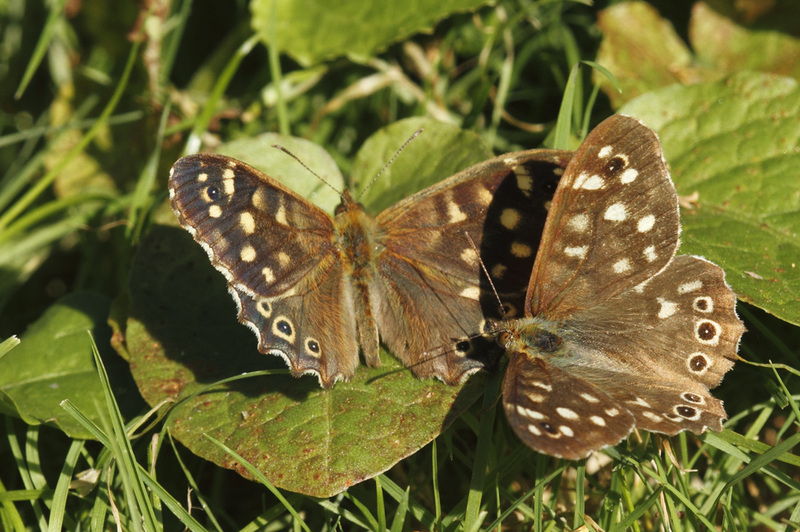 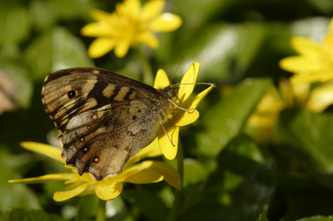 The Speckled Wood can be found woodland rides and clearings and shady lanes in wooded areas.